No matter what age they are, children can be expensive. Kiwi families with multiple children can use a lot of power in a month, and these households often face large power bills. But the family home can be warm, healthy and cheaper to run by being on the right energy plan, making a few changes to the way the household is run, and being with the right retailer for your situation. Electricity companies offer two types of plans, low-user and standard plans. Unless you are a super-efficient power-saving family, you should probably be on a standard user plan. Low-user plans will only benefit households that use less than 8000kWh a year, or less than 9000kWh if you are in the southern half of the South Island. Most electricity retailers will review the amount of power you use each year to make sure you are on the right plan. By law, electricity retailers must promote their low-user plans if they could benefit your household. If the whole household is at school or work during the day and you are prepared to run your appliances only at night, then you could benefit from being on a night tariff. Night tariffs, or day/night plans, offer cheaper power at night and a higher price during the day. There are a few tricks to making the most of a night tariff and they do not benefit all family homes, especially when youngsters and parents are staying at home during the day. Many families are secure in their location and are set to stay in the same house for a number of years as it offers security for schools, friends. It makes sense to cash-in on this security by signing up to power plans for one or two years. Discounts, credits and price security are offered by a number of different electricity retailers. Likewise, you can benefit from prompt payment discounts offered by many electricity retailers if you are able to pay your power bill on time and in full. Other savings can be made if you bundle gas or broadband plans with your power. To keep your home healthy, warm and efficient to heat, it pays to insulate and ventilate the house. Good-quality insulation helps keeps warmth in during winter and keeps your house cooler in summer. This makes your home easier to heat and more comfortable and healthier to live in, according to the Energy Efficiency and Conservation Authority (ECCA). Newer homes (built in 2008 or later) will already have insulation installed but older homes may have either not enough insulation or no insulation at all. 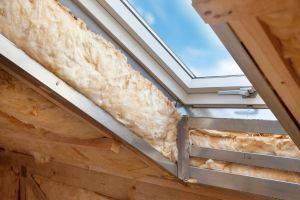 As you lose 42 per cent of heat through the ceiling, the roof space is the best place to start installing insulation if you have none, followed by the floor. These two areas are also a lot easier to retrofit than the walls. A new Government programme, Warmer Kiwi Homes, offers grants for two-thirds of the cost of ceiling and underfloor insulation, as well as ground moisture barriers. Families qualify for this grant if they are living in their own home, and have a Community Services Card or live in an area identified as being low-income. Installing a vapour barrier on the ground under the house. Using extractor fans in the kitchen, bathrooms and laundry. Airing out the home regularly. Children of all ages could help the household save on power. Encourage littlies to turn off unneeded lights, or remind you to turn them off if they can’t reach. Teenagers should be tasked with turning off their appliances and chargers at the wall when not using them. Older teenagers and young adults can get even more involved in monitoring and controlling power use. Most power companies offer a website or app for power monitoring and billing, which makes it easy to track any savings or peaks in use. If you really want them to become super power savers, get them to pay for the household power bill! Using energy-efficient bulbs and only lighting what is needed. Using draught stops on exterior doors. Using appliances efficiently, such as only running the dishwasher or washing machine when full. What is the cheapest power company for a family home? Powershop offers “Powerpacks” – pre-purchased energy deals that customers can buy to receive lower rates or better discounts. This gives customers the opportunity to pay in advance, pay as you go, or pay the old-fashioned way when a bill is sent. Powershop has won Canstar Blue’s electricity provider award over a number of years and guarantees customers will save at least $150 in the first year after switching. Electric Kiwi scored five stars for Value for Money in Canstar Blue’s 2018 electricity provider ratings. It offers “everyday low prices” and guaranteed savings in the first year of switching. Electric Kiwi also offers a free “hour of power” each day. Customers can choose an off-peak time for their free hour, between 9am and 5pm or 9pm to 7am. Electric Kiwi also offers flexible payment options. Energy Online gives new electricity customers $50 credit when they join, and an additional $50 should they add natural gas. It also offers a 20% prompt payment discount for customers who pay their bill on time and in full. There are no exit fees and flexible ways to pay. Flick Electric Co passes on the wholesale price of electricity and charges a transparent, fixed “retailer charge”. This is unlike other retailers which charge a fixed price incorporating their profit margins. Flick customers now have the choice of spot pricing – where savings can be made by using power at off-peak times – or getting wholesale power at a fixed generation price guaranteed for six months. Flick Electric also offers weekly billing. Pulse Energy offers a “Pulse price promise”, which apparently guarantees that it will beat the rates of customers’ current power retailer. Customers also receive “price protection”, so the energy rate will not increase for two years. Pulse Energy does not have long-term contracts but 30 days’ notice is needed or a $150 early termination fee is charged. Meridian Energy is one of the largest renewable generators in the Oceania region, with 100% of its energy generated from renewable sources. Meridian Energy has now replaced its prompt payment discounts with guaranteed discounts for all customers, to make it fairer for those who struggle to pay their bills. Current offers include a $200 welcome credit for customers who sign up for 12 months, a year’s free electric vehicle (EV) charging or a free Nest protect smoke and carbon monoxide alarm. Nova Energy offers Kiwi families the choice of the Home Freedom Plan with variable pricing and no early termination fees, or the Home Advantage Plan where customers get a $100 signup credit and fixed rates until 2020. Mercury Energy is another environmentally-focused retailer which apparently generates 100% of its power from renewable sources. Mercury offers fixed price plans, locking in power prices for two years. Prompt payment discounts of up to 12% are on offer. Customers can also receive a number of bonuses, including Airpoints Dollars, up to $500 off electric bikes, plus special deals for customers with electric vehicles. Genesis Energy owns Energy Online, which makes it the largest electricity and gas retailer here in New Zealand. A credit of up to $300, up to 2000 bonus Fly Buys points and fixed power pricing is on offer for customers who sign up to power and gas for 24 months. A credit of up to $200 is offered for customers who sign up to power and gas for 12 months, while a flexible plan is also available. All plans offer prompt payment discounts of at least 10% and Fly Buys points. Globug lets customers pay their power bills as they go, without penalties or late payment fees. While Globug will send customers an alert when the balance is low, customers must be proactive in keeping on top of their energy account. Contact Energy is an integrated electricity retailer and generator, as well as a home internet supplier. It has a number of different plans on offer including fixed rates and a monthly discount up to 24% for fixed term customers, or the option of fuel rewards and discounts of up to 22%. 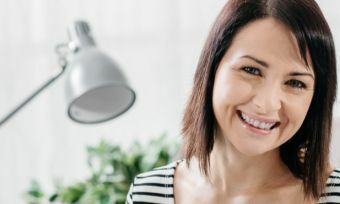 It also has a range of flexible plans including the Promise Plan – this offers a monthly discount up to 24%, fixed rates until July 2020, up to $200 off your bill over two years and no fixed term. Contact Energy now also offers the option to pre-pay with the same discounts on offer. Trustpower is a bundled electricity, gas and internet provider. Trustpower has a “plan builder” that lets new customers create a deal based on their own circumstances. Offers include a free Samsung appliance and $50 credit when customers sign up online to power and unlimited data broadband for 24 months, a duel fuel discount of 15c per day for customers with both power and gas from Trustpower, and an extra discount when energy customers sign up to a fixed term. There is also a 15% prompt payment discount.